Riverside, Iowa -- The field for the 43rd Iowa Boys Junior PGA Championship has been set following the conclusion of the seventh qualifier. The two-day tournament takes place July 9-10 at the Indianola Country Club. Two boys from the 16-18 age division will advance to the 43rd Boys Junior PGA Championship at Valhalla Golf Club in Louisville, Kentucky on July 21 – August 3. Click here to view pairings and tee times. 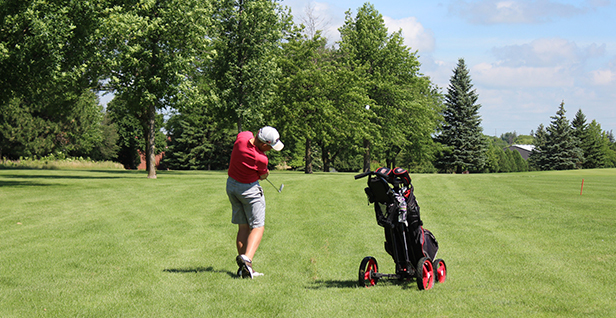 Each of the 84 players who make up the field for the 43rd Iowa Boys Junior PGA Championship qualified at one of the seven qualifiers that took place over the past several weeks. All participates in the qualifiers and championship reside in the Iowa PGA Section boundaries. The 43rd Iowa Boys Junior PGA Championship is an AJGA Performance Based Entry (PBE) event in which four stars will be awarded to the Champion, the top 20% will receive two stars and the top 50% will receive one star. This is also a Major Tournament on the Iowa PGA schedule, and Player of the Year points will be awarded after the event. The 43rd Boys Junior Championship will feature 144 of the Nation’s top high school boy golfers participating in a 72-hole stroke play Championship. There will be a 36-hole cut, reducing the field to the low 70 players and ties. All players qualify for this event through their local PGA Section Championship. Spencer Tucker, Brock Burnhart and Connor VanWeeden represented Iowa at the 42nd Boys PGA Championship last year. Tucker won the 42nd Iowa Boys Junior PGA Championship by four strokes. Click here for 2017 results. Updates on the 43rd Iowa Boys Junior PGA Championship will be provided on the iowapgajuniorgolf.com website and the Iowa PGA social media page.